Nvidia and their hardware partners have remained mum about the furor buzzing around the GeForce GTX 970, but it looks like at least some disgruntled customers are receiving refunds for their graphics cards, courtesy of point-of-sale e-tailers like Amazon and Newegg. Perhaps not coincidentally, Nvidia was also slapped with a class action lawsuit alleging false advertising of the GTX 970’s capabilities late last week. A quick catch-up: Nvidia’s GTX 970 launched to universal acclaim for its stunning blend of power efficiency, pure performance, and a (comparatively cheap) $330 starting price point. In fact, the GTX 970 was so competitive that AMD was immediately forced to shave hundreds of dollars off its flagship Radeon graphics cards. But gamers soon started noticing something amiss. Whenever the 4GB GTX 970 inched past 3.5GB of memory use, games began stuttering in certain scenarios. Nvidia was eventually forced to admit that the card actually uses a—let’s say unconventional—memory design that splits the memory into two pools: A full-speed 3.5GB segment and a far slower 512MB segment. 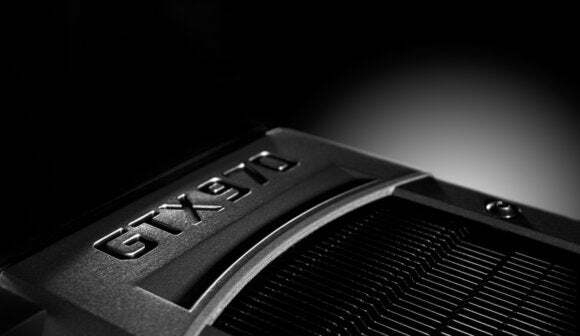 More concerning, Nvidia also revealed that the GTX 970 technical specifications sent to reviewers were incorrect and exaggerated due to an internal communications error. These facts came to light four month’s after the card’s launch. The specification revelations didn’t change the fact that the GTX 970 was still a beast of a card for the price, and subsequent testing by PC Perspective, Guru3D, and Hardware Canucks showed that negative effects are difficult to produce in the real world, at least in single card setups. To use more than 3.5GB in most games requires playing at very high resolutions (typically 4K or multi-monitor situations) at dismally low frame rates, with anti-aliasing settings cranked. But multi-card SLI setups could theoretically be more affected, as further PC Perspective testing suggested. And many GTX 970 buyers were upset at Nvidia in principle. Refunds were demanded. A Change.org petition circulated as Nvidia remained silent on that front, and is currently signed by nearly 9000 people. A screenshot of an alleged successful GTX 970 refund request, from a Reddit user. While Nvidia and its partners have yet to change their official stance, last week numerous user reports began to appear on Reddit claiming that Amazon and Newegg have begun offering refunds on GTX 970 purchases when asked. Some users claim to have been able to keep their cards while receiving 20 percent of the purchase price back, sometimes in store credit. Several user comments in a PC Perspective post covering the issue also appear to corroborate the information. Not all buyers report being successfully negotiating a refund, however, so your mileage may vary. I’ve reached out to Amazon and Newegg to determine their official stance and will update this article when I hear back. (It's the weekend, so it may be a while.) In Europe, both Overclockers UK and Caseking will let upset buyers return their GTX 970s.